Antonio Brown should have just declined the question. The Steelers star wide receiver had to know his production would go down playing with Michael Vick in at quarterback, but I think the totality of decline is starting to agitate him. Brown had his 35-game streak of catching at least five passes with at least 50 yards come to an end with Vick under center, and he wants the former star to take more chances. “I didn’t think I got the ball enough,” he said about his Monday night performance, via the Pittsburgh Tribune-Review. “Mike Vick’s out there and I think he’s playing conservative to make sure we get the win. He’s not going to take too many shots. As long as we win. I want to get the ball and help the team. Some things are out of my control. I’m still up there on that chart. The reality of the situation is that Vick is trying to prolong his playing career, and that means not making mistakes that will cost the Steelers. Brown’s not going to have the same chemistry with Vick, and everyone involved knows that. 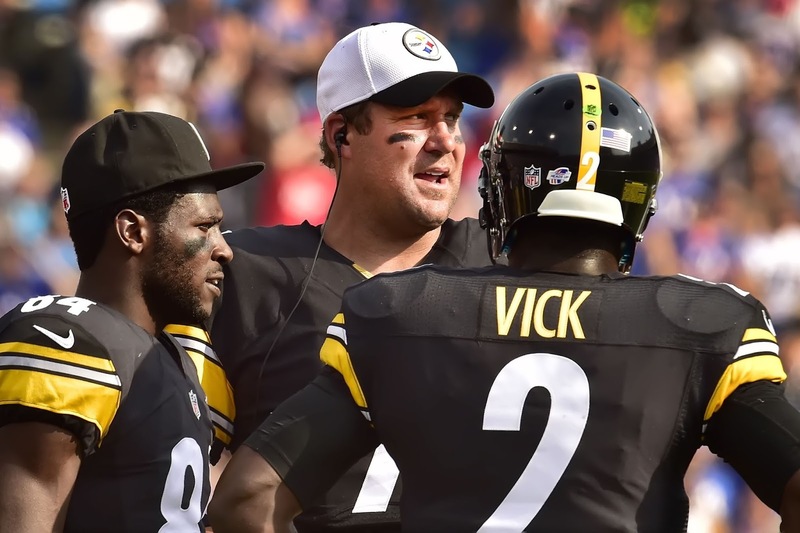 Taking potshots at Vick now that Roethlisberger is set to return isn’t the move either. In the two games Vick has started, Brown has eight combined receptions for 87 yards.